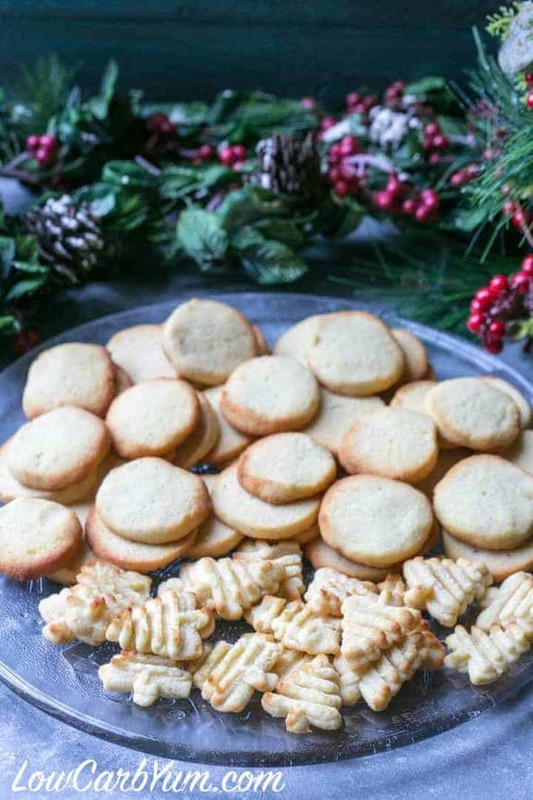 Do you have a regular holiday cookie that you make every year? 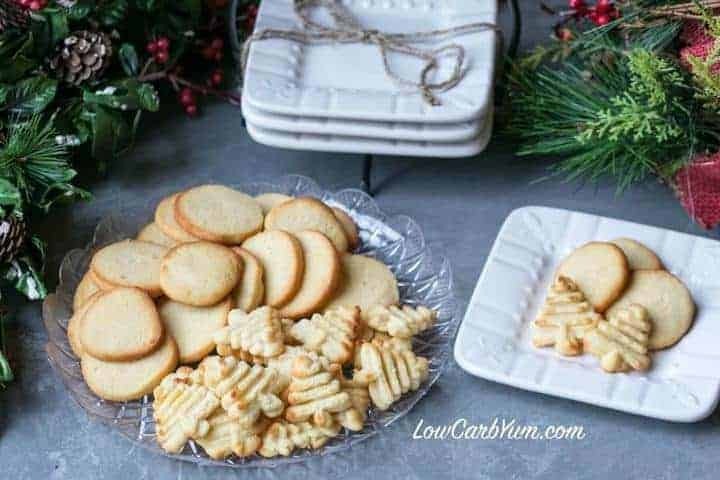 My family doesn’t have one, but I think it’s about time we start a tradition with a holiday cookie that is low carb and gluten free. 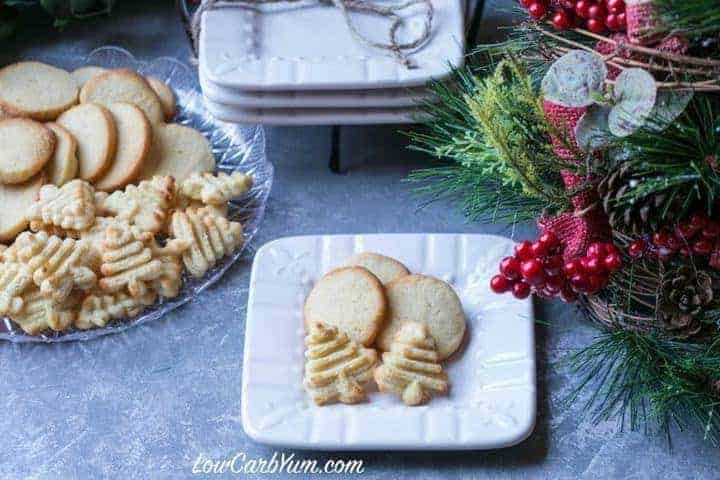 We used to get together with my husband’s family and make his grandmother’s traditional sugar cookie. It was a really crisp cookie made with regular flour and lard. 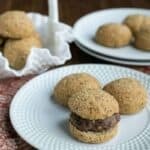 I was given the recipe, but not sure if I can still locate it as I haven’t made it in years. When our older two kids were little, these were the cookies that they would decorate for the holidays. My youngest is just starting to get into the holidays. She turned 3 years old last week and did have some fun decorating a gingerbread house and cookies with her older sister. She had a little trouble squeezing out the frosting, but she did a great job decorating with candies. Of course, she and her sister just wanted to eat the frosting and candies more than decorate. 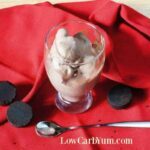 I don’t push low carb on them, but I do try to offer them healthier choices. My husband gets away with eating tons of carbs so it’d be impossible to keep them out of the house. I’m the only one in the house who follows the low carb way of eating. But, I’m hoping they will all convert one day. 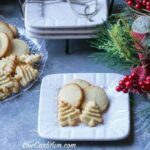 I stumbled upon some cream cheese sugar cookies when I was looking for ideas to make a low carb sugar cookie recipe. I figured the cream cheese would keep the almond flour based cookies from crumbling. And, it did! 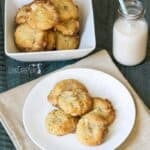 The dough for these cream cheese cookies is very versatile. 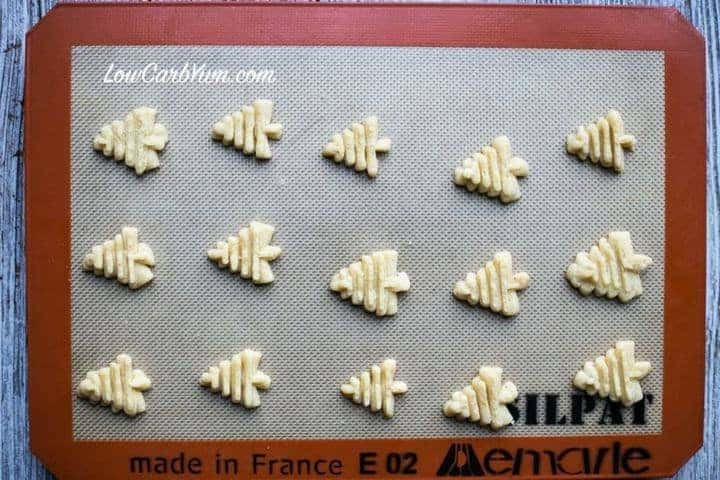 You can use a cookie press or roll it out and cut. I didn’t have a lot of time, so I didn’t use cookie cutters. Instead, I made some in the cookie press and then rolled the rest of the dough into logs and sliced into rounds. Although I used a silicone mat for the pressed cookies, it wasn’t necessary. 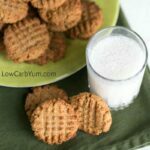 There is tons of fat in the recipe that keep the cookies from sticking to a regular cookie sheet. I put the sliced rounds onto unlined cookie sheets and they came out perfect. In fact, the bottoms were crisper. I’m pretty sure that this cookie dough could be made ahead, and frozen in the logs to be sliced and baked later. I am going to make a bigger batch next time and see how they perform after the dough has been frozen. You can certainly frost and decorate these cookies like you would regular sugar cookies. I left them plain because my taste for sweet has really diminished. I don’t see a need for all the extra sweetener. It does look pretty, but I like them less sweet. 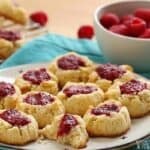 The almond flavored icing that I used on my ricotta cheese cookies would be a nice topping for these cookies if you want to frost them. You don’t have to use the almond extract. Lemon extract would be just as nice as the almond flavor. 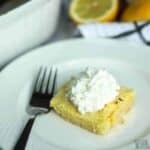 In fact, you may even want to replace the vanilla extract used in the cookies with something like lemon or orange extract. There is a slight hint of the cream cheese. 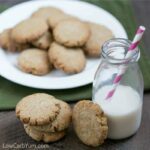 So, if you don’t care for the taste of cream cheese, you may want to use a regular sugar cookie recipe. However, I find that cream cheese helps counter the cooling effect of the erythritol. This does make a lot of cookies so if you aren’t baking them to share, I’d either cut the recipe in half or freeze half the dough for later. The baked cookies could also be frozen if you can’t eat them all with a week. 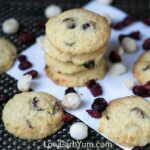 Yummy low carb cookies made with cream cheese. 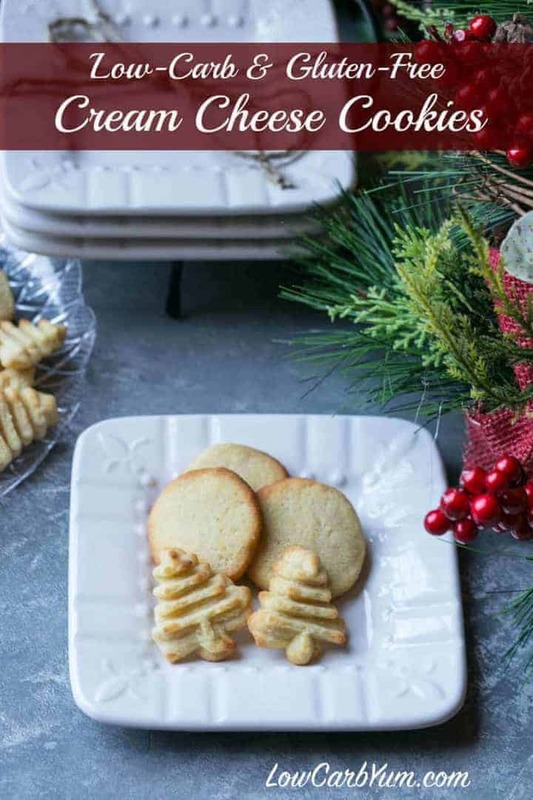 These tasty sugar free cookies can be pressed or cut into festive shapes for any holiday. Stir in the the flours, then mix in the vanilla. Chill dough for at least 4 hours . 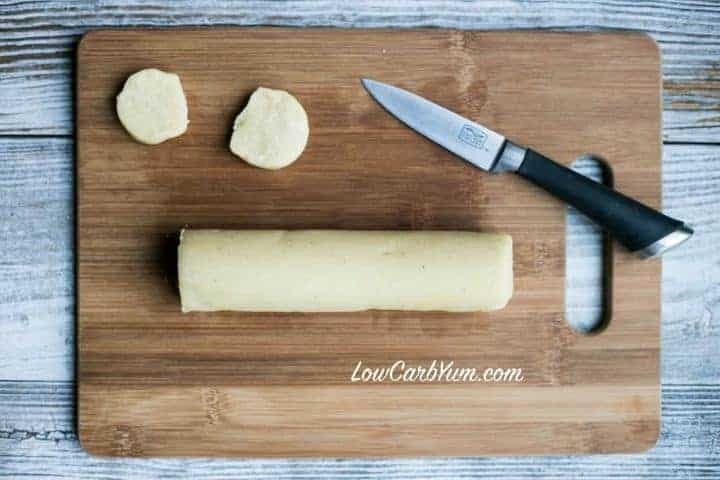 Squeeze dough out of cookie press or roll out into a cookie log and slice. 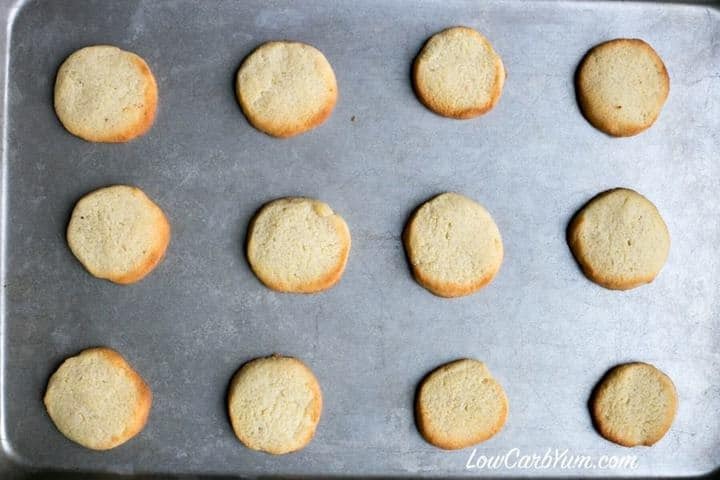 Bake at 350F until cookies begin to brown (about 8-10 minutes for pressed cookie or 10-12 minutes for slices). 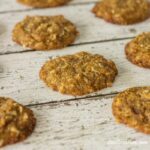 Cook longer for crisper cookies. Vanilla extract can be substituted in part or whole with other extracts like almond, lemon or orange to change the flavor.